Paris is one of those cities that I could return to again, and again, and again. The initial sightseeing buzz is fairly overwhelming – climbing the Eiffel Tower, admiring Notre Dame, and strolling down the Champs-Elysées – it is like all of your postcard holiday dreams come true. As you get to know the city a bit better, it is a place that is easy to fall in love with – not only the history and the culture, not only the great food, the great shopping, and the fantastic people watching. I love the lifestyle that Paris seems to offer – quirky neighbourhoods, local shops, and being able to cycle everywhere (except around the Arc de Triomphe – that’s a mistake you only make once). 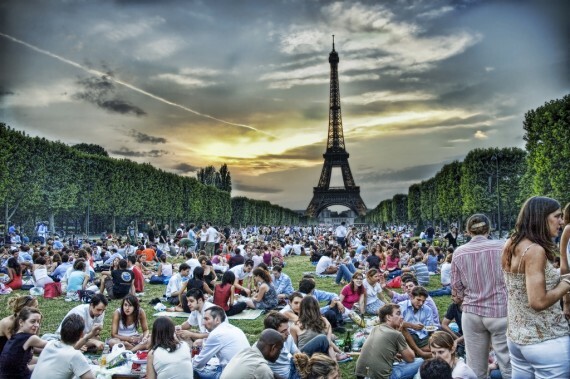 One thing about Paris that takes a bit of local knowledge is where to go for a picnic. Where do you go when you just want to grab a baguette, some good cheese, a bottle of wine, and sit in the sun for a while? In this article we take a look at a couple of the best options. Parc des Buttes-Chaumont This is a large public park in the northeast of the city – the 19th arrondissement. On top of a hill, the park has spectacular views out across Paris. With large grassy areas, this is a popular weekend destination for locals who come and sit with families and friends, enjoying the views and the fresh air. Another attraction of the park is the Rosa Bonheur bar. 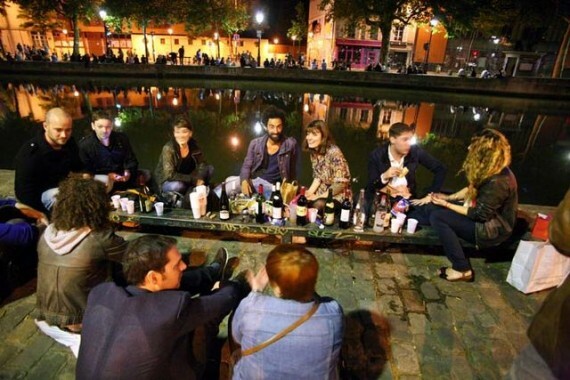 On Sunday afternoons (from about 4PM), they slowly begin to turn up the music and the bar is soon a pumping party that attracts the young and the cool of Paris – it happens every Sunday and it’s great fun. Jardin du Luxembourg A stunning city park, the Jardin du Luxembourg is in the 6th arrondissement of Paris. Huge expanses of lawn surround a central lake and a fantastic array of statues and sculptures. There is an incredible sense of timeless serenity as you watch children sailing model boats on the lake. There are plenty of good bakeries nearby too so you can cycle to the gardens, drop off your hire bike, stock up on bread and cheese and you are good to go. Bassin de la Villette This is a large artificial lake, located in the 19th arrondissement of the city. With ample grassed areas, this seems to be a popular spot for students and groups of young friends, hanging out, playing games, eating and drinking. Paris is a city that I can happily return to again and again. Being within easy reach of London makes it even more appealing – to be able to jump on Rail Europe’s pre-booked Eurostar train after work on a Friday night and have the whole weekend in a city that seems like a world away is absolute bliss. Even if you are not into picnics, whether it is your first visit, your fifth visit, or your twenty-fifth visit, you will always find something to delight and excite you in Paris.